Film-Arcade.net: New Trailer and Poster for the Upcoming Thriller "Serenity"
New Trailer and Poster for the Upcoming Thriller "Serenity"
Aviron Pictures recently released the second official trailer and poster for the upcoming thriller "Serenity". The film stars Academy Award winner Matthew McConaughey, Academy Award winner Anne Hathaway, Jason Clarke, Djimon Hounsou, Jeremy Strong and Diane Lane. 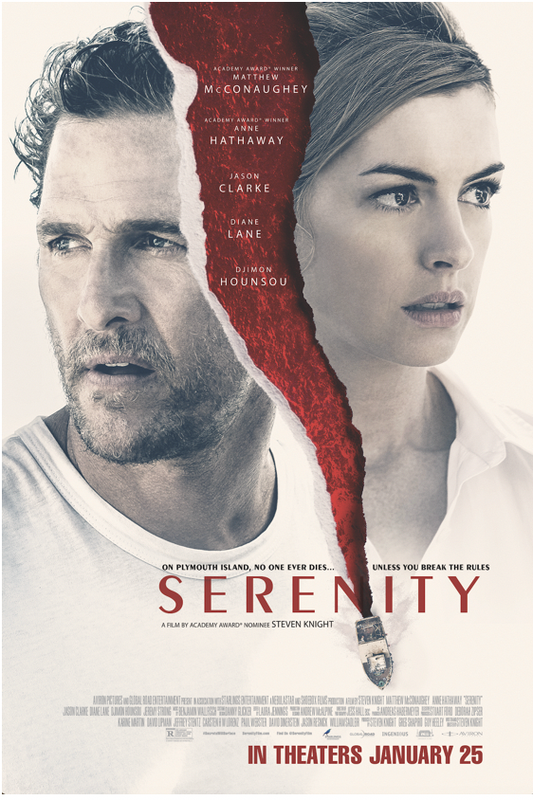 "Serenity" hits theaters on October 19th. For more information on this film, you can visit the film's official website at: www.SerenityFilm.com.